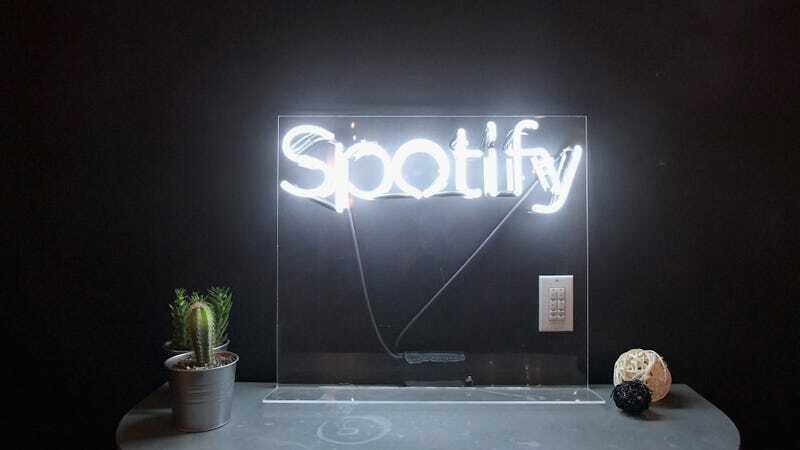 According to Billboard, Spotify is set to continue the expansion of its digital audio empire by acquiring true crime-focused podcast network Parcast, just a month or so after it bought more general podcast companies Gimlet Media and Anchor. Parcast is the home of shows with extremely literal names on a similar theme, like Cults, Serial Killers, Hostage, Conspiracy Theories, Haunted Places, Historical Figures, Mythology, Survival, Crimes Of Passion, Extraterrestrial, Unsolved Murders, Unexplained Mysteries, Conspiracy Stories, and, uhh, Great Women Of Business. If you ever needed a clear indication of just how popular murder podcasts have become since Karen Kilgariff and Georgia Hardstark first met at a party and bonded over their love of killers, that list of podcast titles is it.